Students travel back to the 1980s! 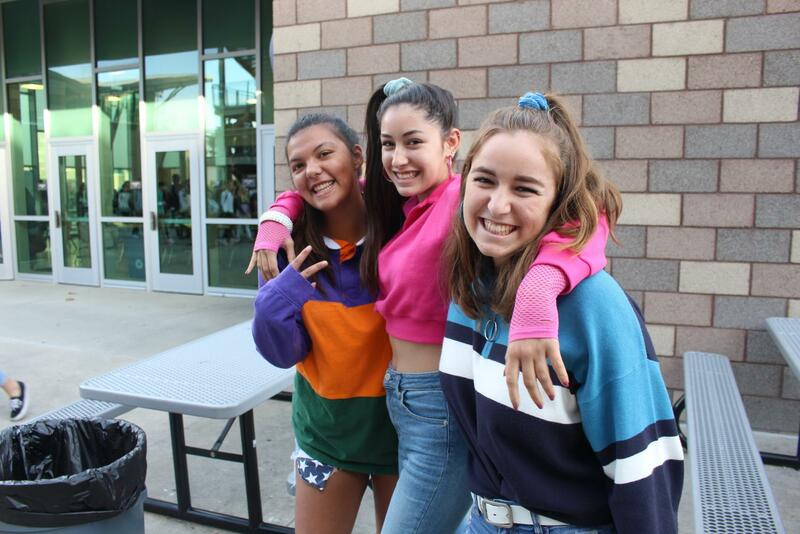 Last Tuesday students including seniors Tori Cudal, Olivia Mejia and Allison DelGrande dress up from head to toe for the school's "Decade Spirit Day." 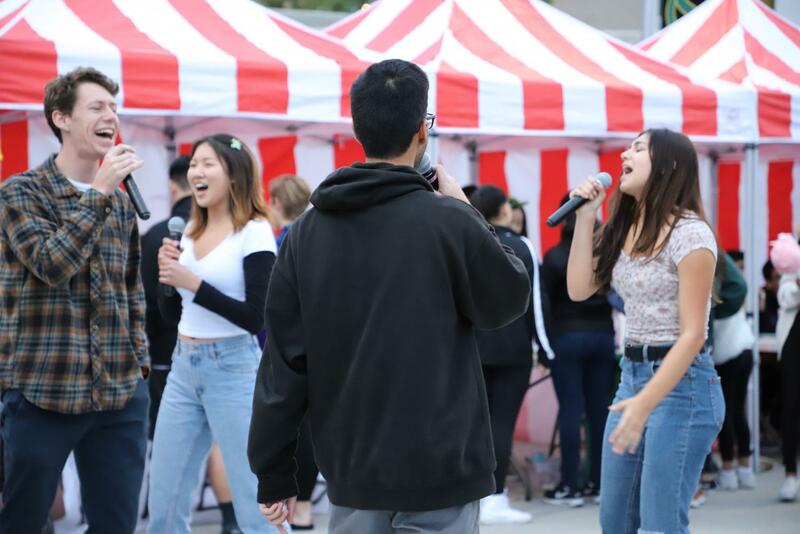 Seniors Sydney Ballard, Parker Blawusch, Meghan Kim and Nathan Pereira enjoy the karaoke setup and cohesively sing their chosen song. The karaoke was run by ASB and was free to all at the Hoopcoming Carnival. Freshman Zoebelle serves cotton candy to little kids before the start of the game. The athletic mall was filled with booths ranging in candy to games, to satisfy each students perfect idea of Hoopcoming. 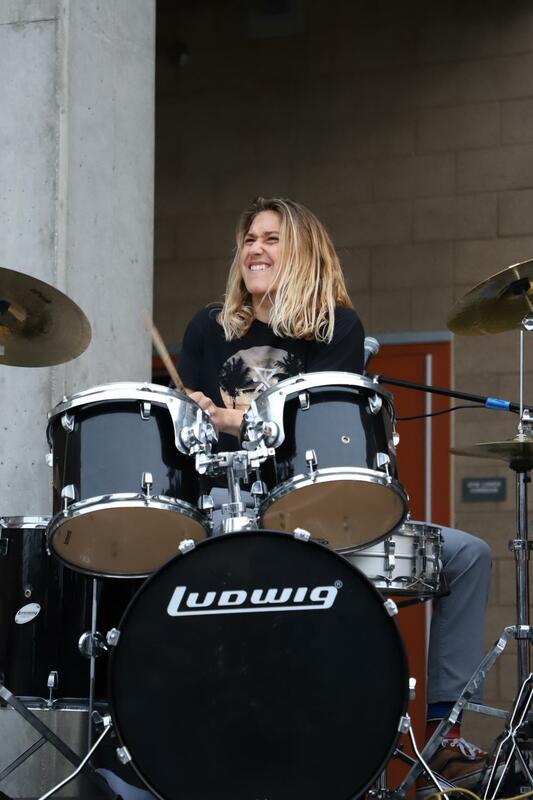 Noah Miles performs with his band, on drums and sings as entertainment for the Hoopcoming Carnival. Their band which includes Jackson Gilbert, Noah Miles, Max Castro and Justice Guevara debuted last Friday under the name Record Steel. 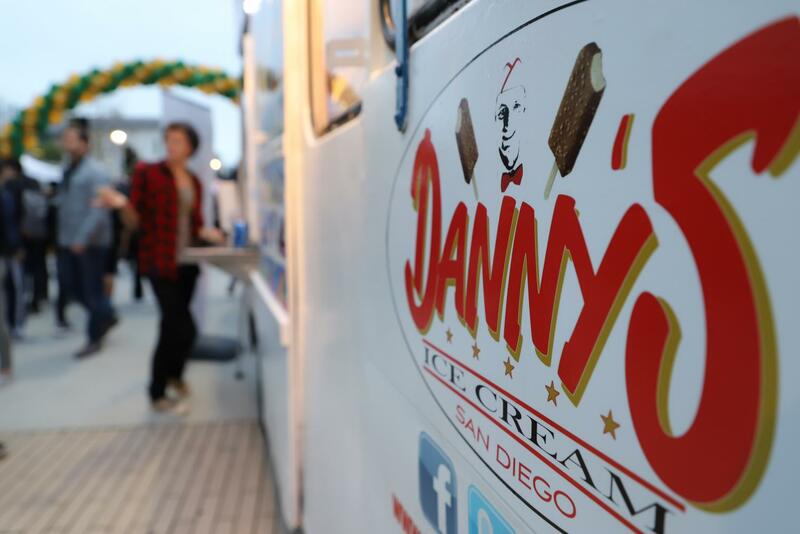 Students line up to get a tasty treat from Danny’s Ice Cream Truck. 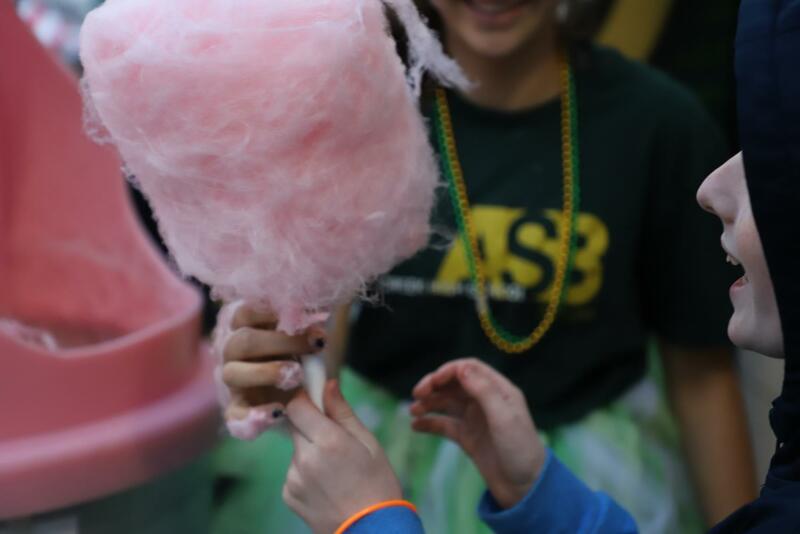 The Hoopcoming Carnival was packed with food trucks and stands filled with a variety of food for everyone’s cravings. 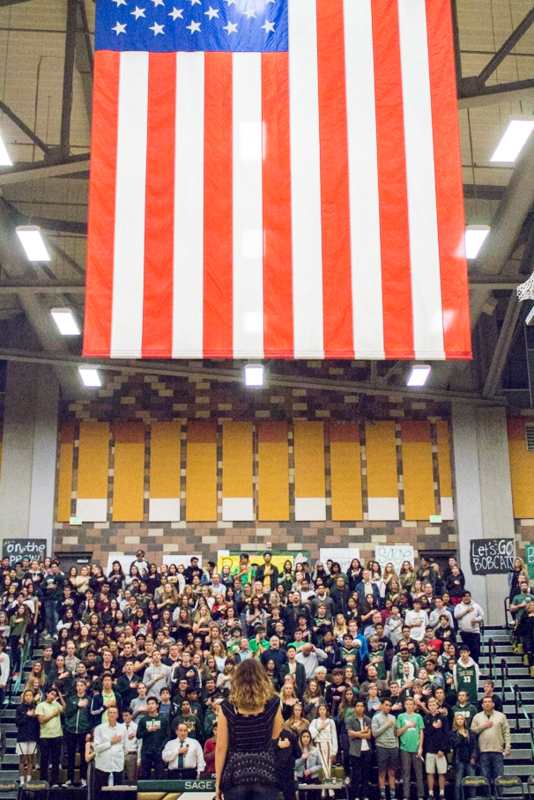 Junior Priya Richard performs the National Anthem in front of Sage Creek fans, students, members and staff. Richard has been performing the anthem for Hoopcoming for two years now. 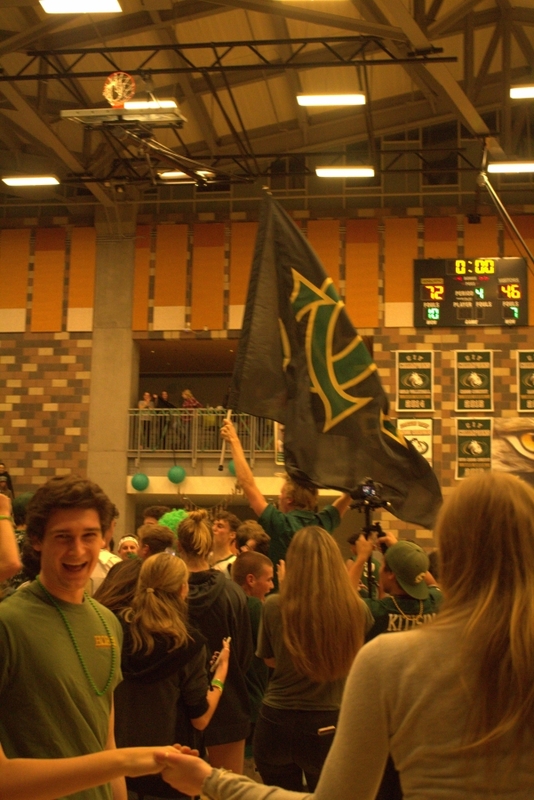 After an impressive 72- 46 win for the boys basketball team against Oceanside High School, Bobcat fans take to the court to celebrate the victory. 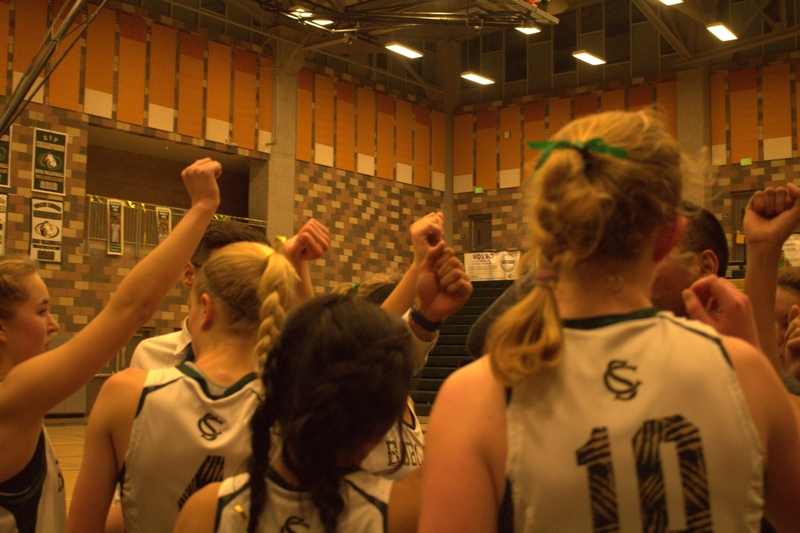 The girls basketball team cheers before heading onto the court for the final quarter. The team won against Oceanside 42- 24.